Figure 10-31.-Full-flow, porous metal, bypass electrical-indicating hydraulic filter. Home > Construction Training Manuals > Construction Mechanic Advanced > Figure 10-31.-Full-Flow, Porous Metal, Bypass Electrical-Indicating Hydraulic Filter. 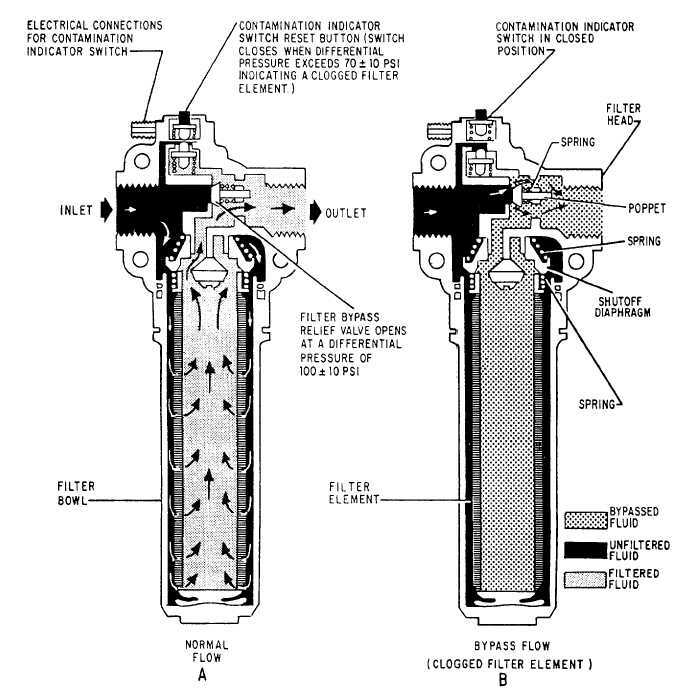 hydraulic filter (fig. 10-31) is used in some hydraulic systems. This filter uses one or a combination of the contamination indicators previously described.